If the story that we are about to tell was really a fable, it would have started this way, but what we are about to tell you is not a fairy tale. 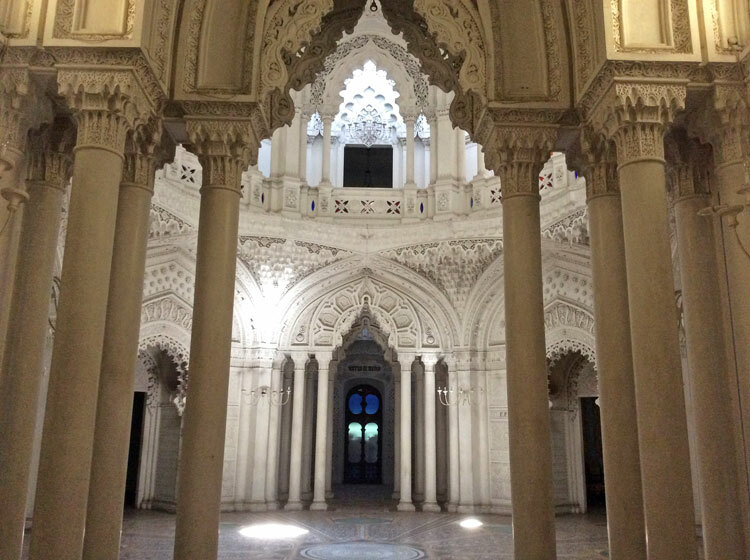 The Castello di Sammezzano possesses something magical about and it is true that is actually is devoid of a “reigning regent”: yet there is still a sad story that needs to be told. 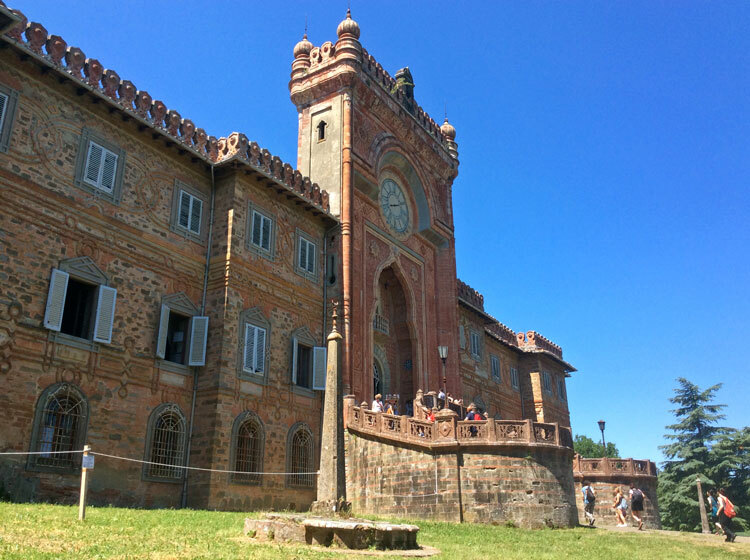 This castle located in Reggello, about 40 kilometers from Florence, presents a rather unique construction, in a Moorish-oriental style – a style that you certainly would not expect in the middle of the Tuscan countryside. Ferdinando Panciatichi Ximenes d’Aragona, passionate about the Orient, bought the castle in the second half of the 19th century and transformed it into the splendid dwelling that we still see today. The Castello di Sammezzano was sold and turned into a luxury hotel and restaurant from 1970 to 1990, when it finally closed. Since that time, it has sat empty waiting for an owner, and a clear-cut destiny. Even though closed to the public, a group of volunteers had managed to organized guided tours of the Castle which have been a huge success. Even a few members of the DiscoverTuscany team had the opportunity to visit parts of the Castle a few years ago, and they were totally enthusiastic of its beauty. Unfortunately, these visits have been suspended due to the deplorable architectural conditions of the castle. The Castle still searches for a buyer, having sat on the auction block several times, but nothing has ever developed into a successful outcome. Presently it awaits another auctioned date in May of 2018. However in the meanwhile, time and a lack of constant maintenance are having a disastrous effect: the plaster and ornate decorations are in peril of falling to pieces. This creates an obvious danger to the visitors and means that future tours to the public will probably not be permissible. 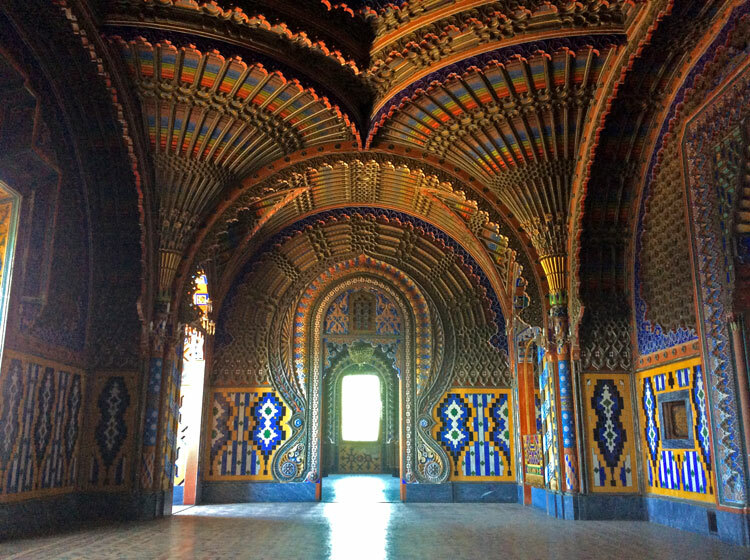 It’s a shame that a unique and particular little gem, like the Castello di Sammezzano, has been left to deteriorate. We hope that the Castle finds its fairygodmother and new owners soon, and that they want to give it (a lot) of TLC “tender-loving-care”, restoring the castle and the grounds to its original splendor. We look forward to sharing this good news with you soon.